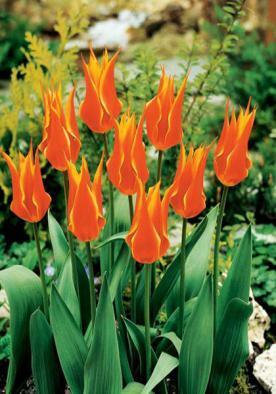 A curious Tulip with long spidery petals, flame red at the tips shading to light orange yellow. Its date of origin is unknown but was first described in the 17th century. Flowers from April to May. 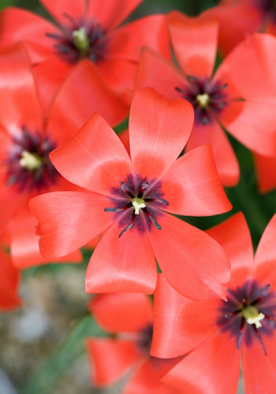 A species Tulip famed for its long spider like petals, this horned variety is a native to the Pyrenees and is found all across Southern Europe. Its petals are a flame red at the tips through to a shade of light orange yellow at the base. 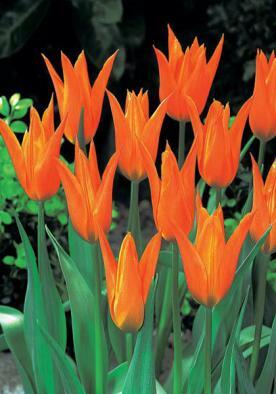 Its date of origin is unknown but it was first described back in the 17th century and is believed to be one of the grandfathers to all modern day tulips. 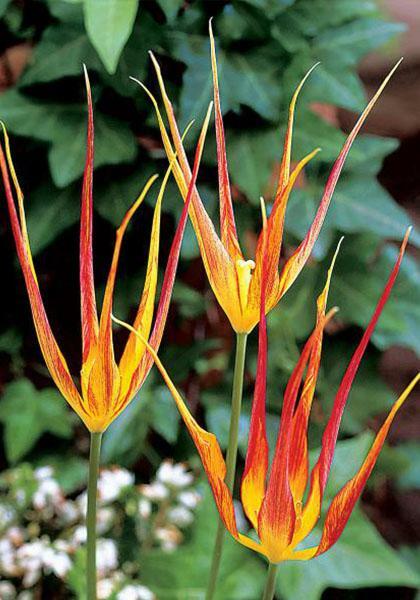 Tulipa acuminata flowers from late April to May and will grow to a height of between 40 and 45cm tall with the petals making up about 8cm of this total.